Preheat oven to 425ºF. Heat a 10-inch cast-iron skillet in the oven for 5 minutes. Stir together cornmeal, sugar, and (if using) pumpkin pie spice in a large bowl. Make a well in the center of the mixture. In a separate bowl, whisk together eggs, mashed sweet potato, sour cream, and margarine. Add sweet potato mixture to cornmeal mixture, stir just until moistened. 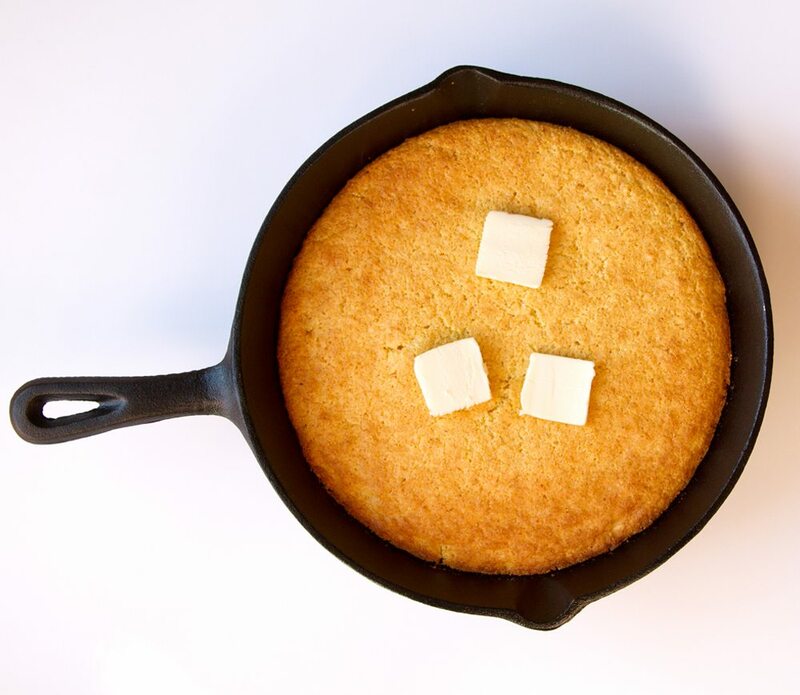 Carefully spread margarine around the hot skillet and pour in the batter. Bake for 20 – 35 minutes, or until golden brown and a toothpick inserted in the center comes out clean. Slice the sweet potato cornbread into wedges or squares. Serve warm or at room temperature.